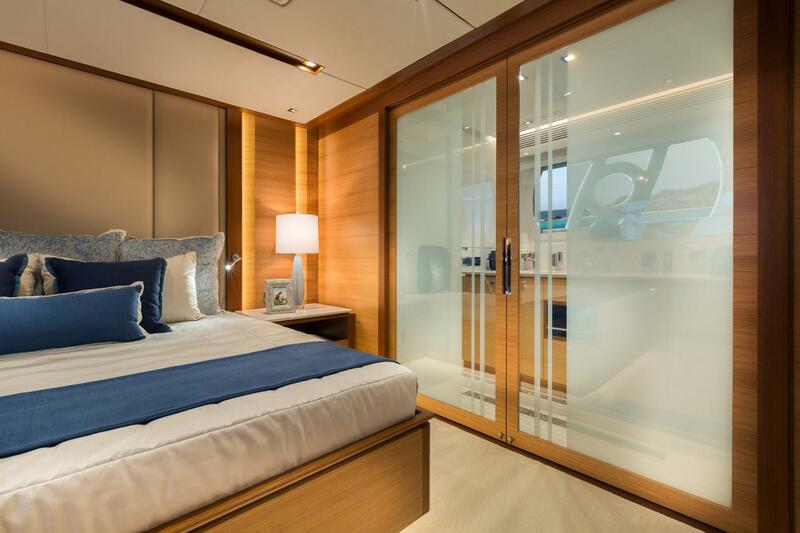 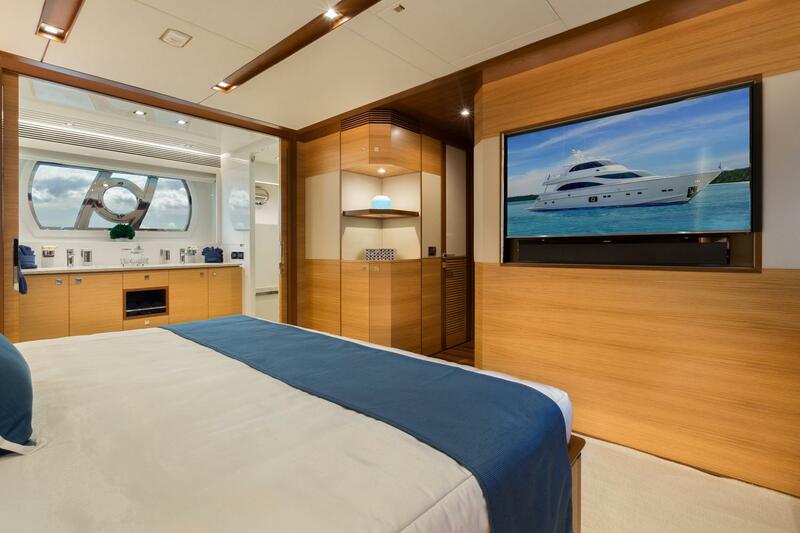 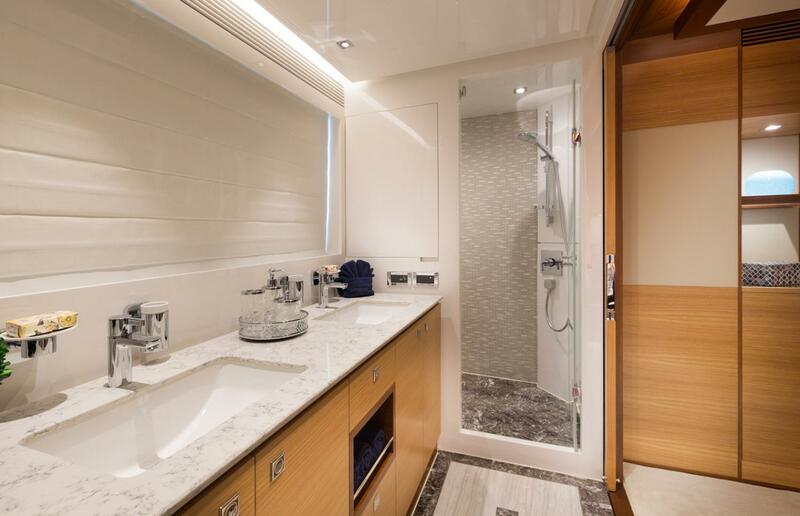 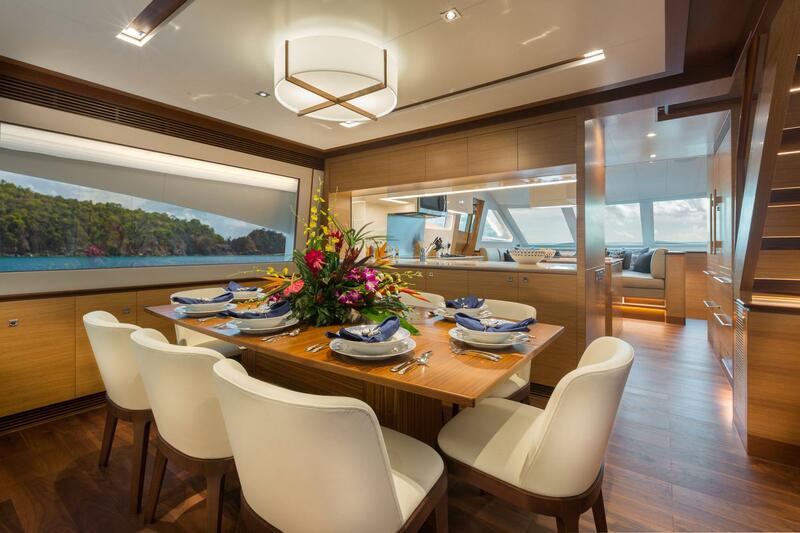 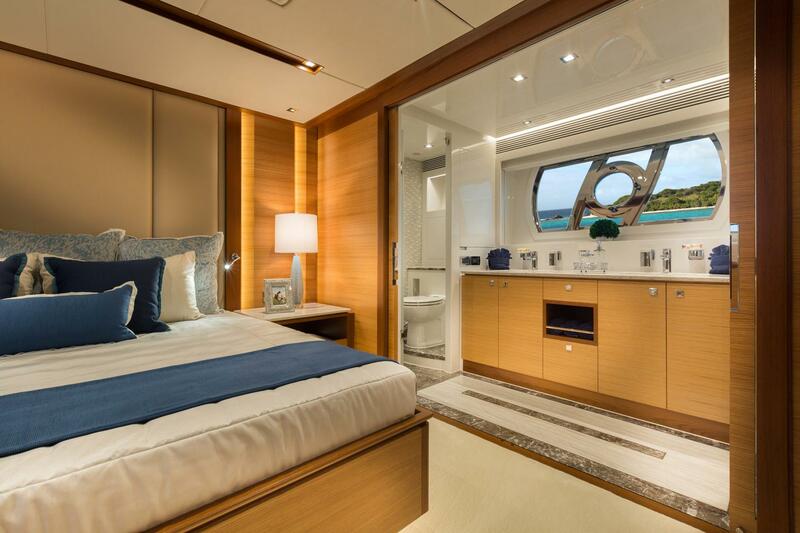 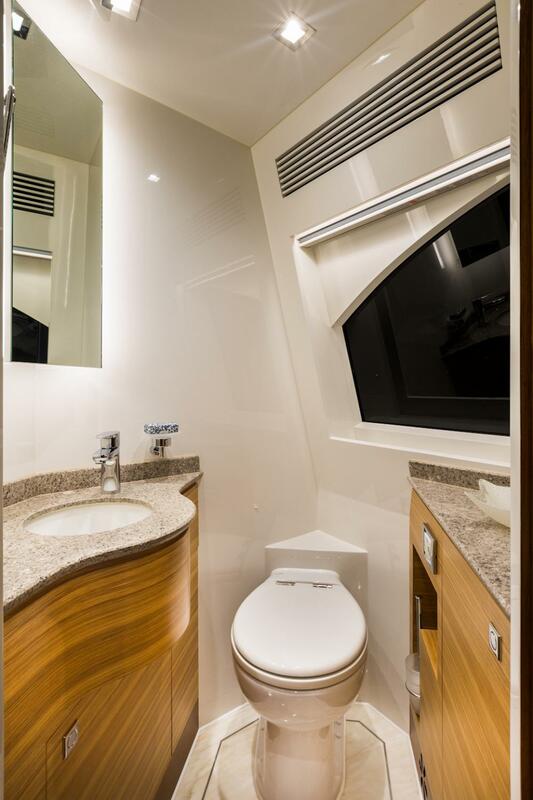 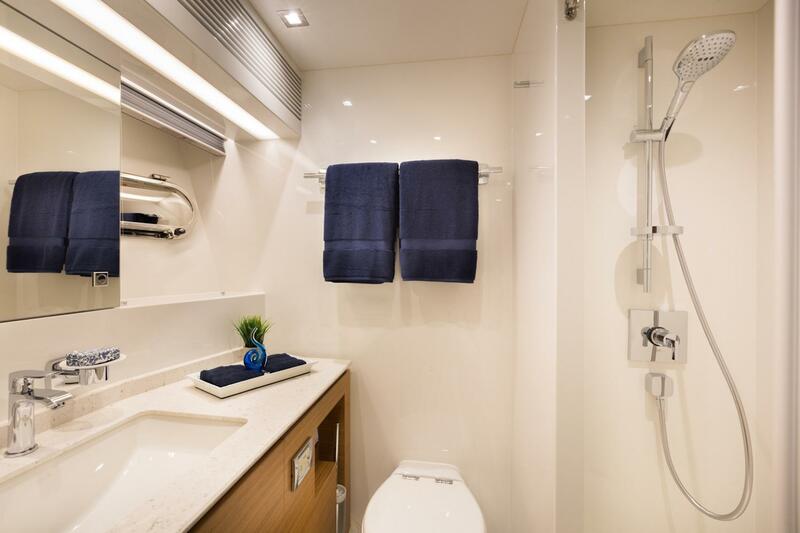 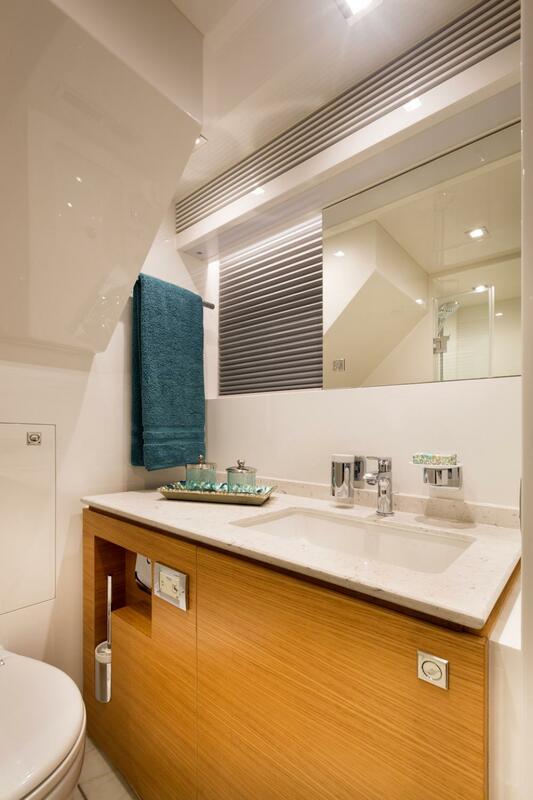 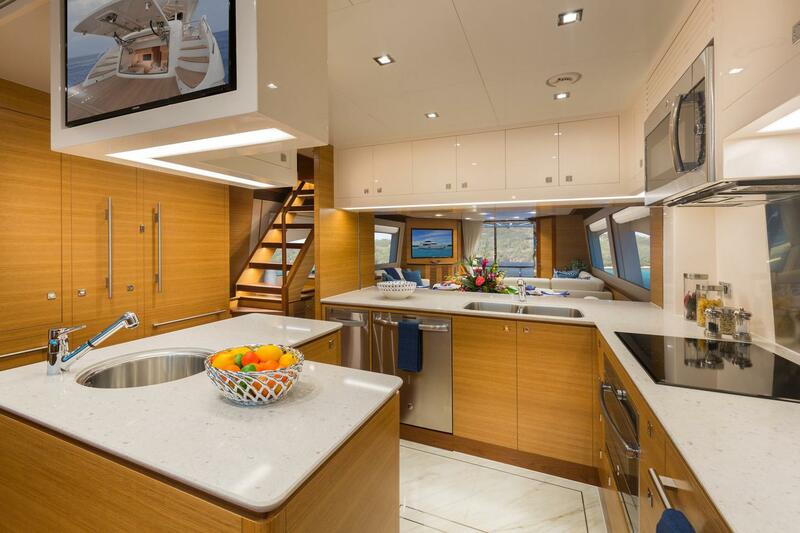 Customized with the U.S. market in mind, this 2017 Horizon E88 skylounge motoryacht features a 21' beam and four en-suite guest staterooms, plus (2) private crew quarters aft. 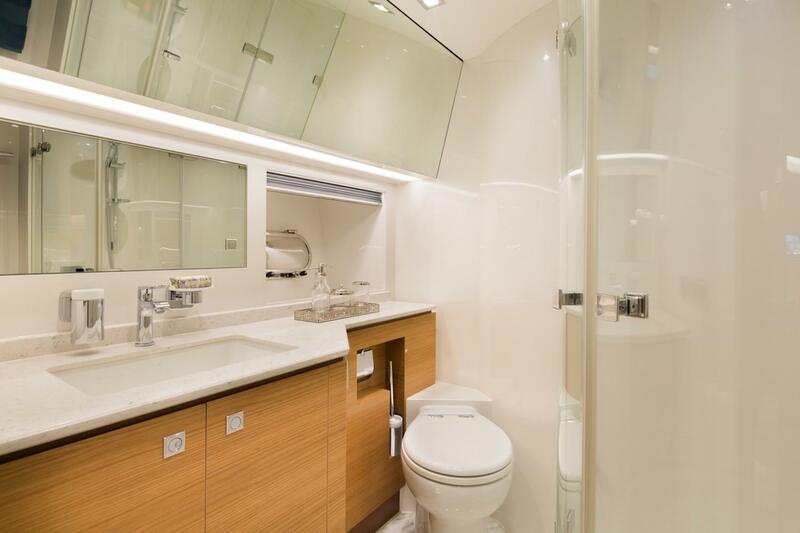 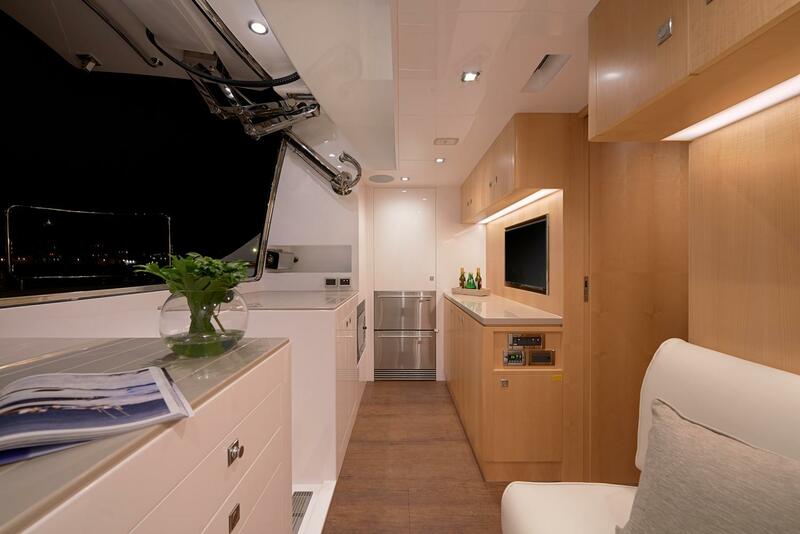 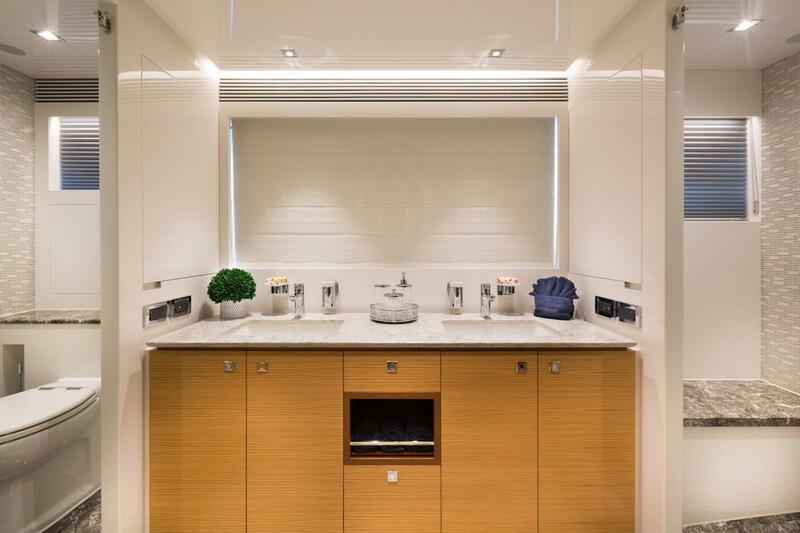 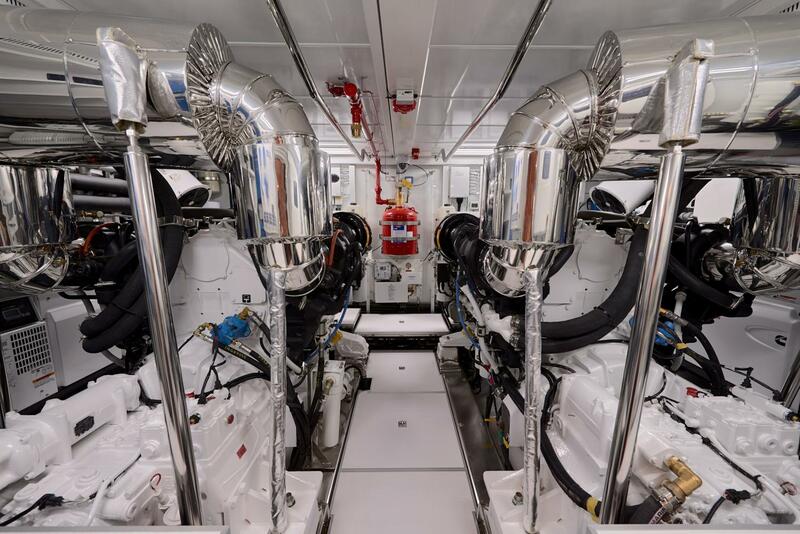 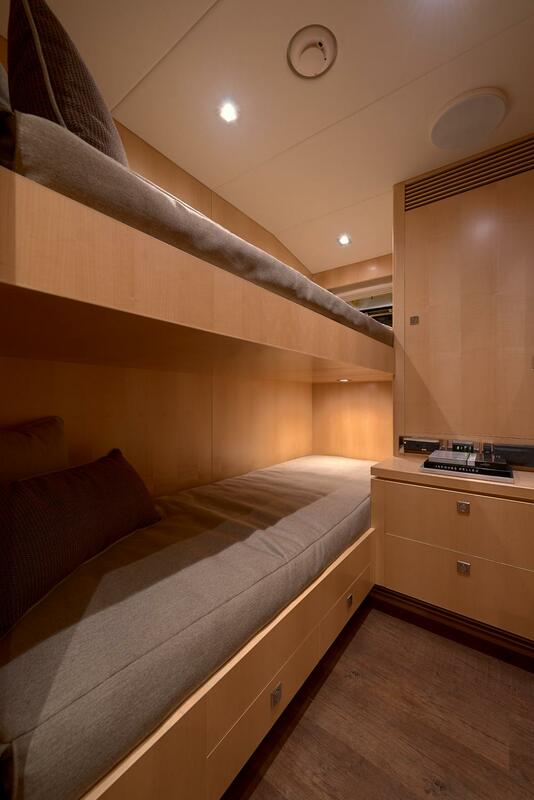 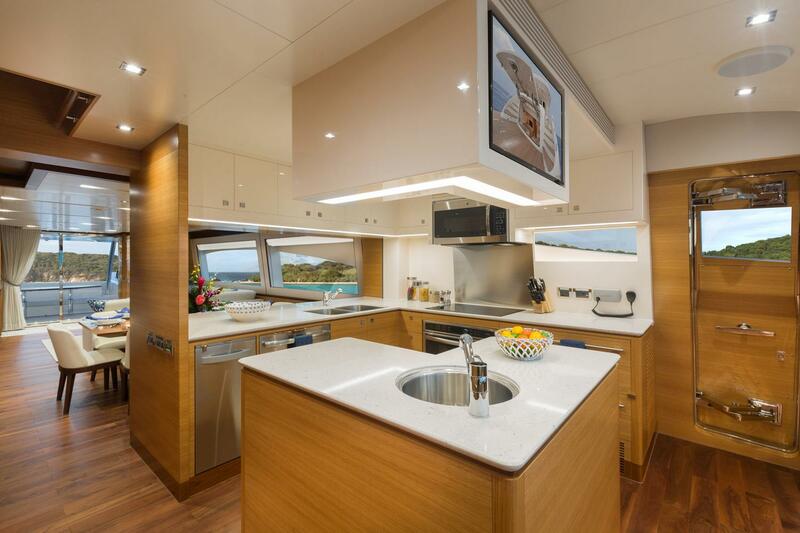 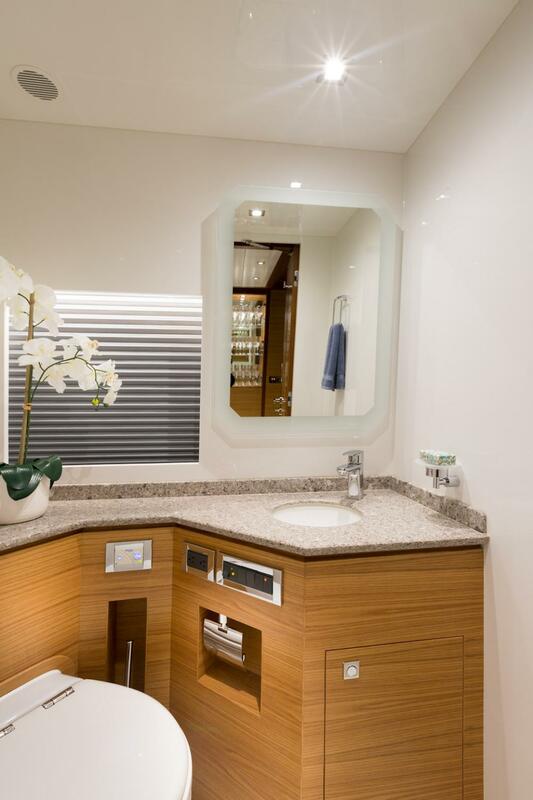 Her new galley design with an island configuration allows for a more relaxed and casual feel for the space. 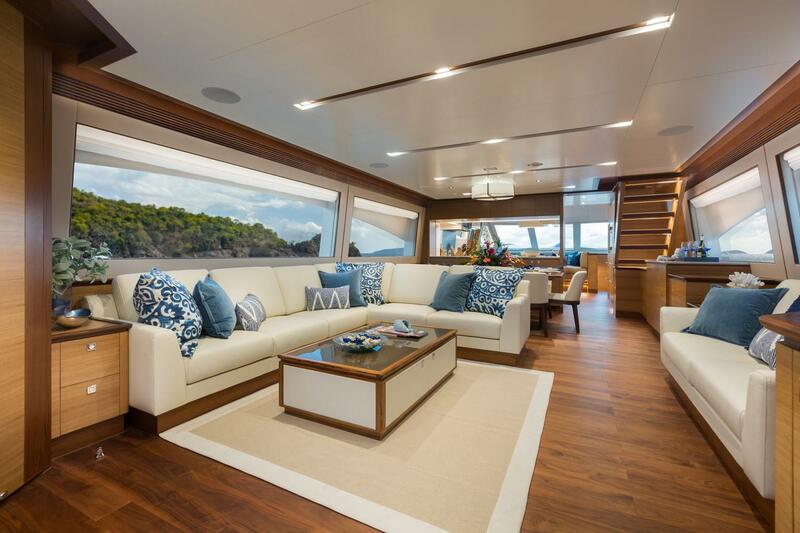 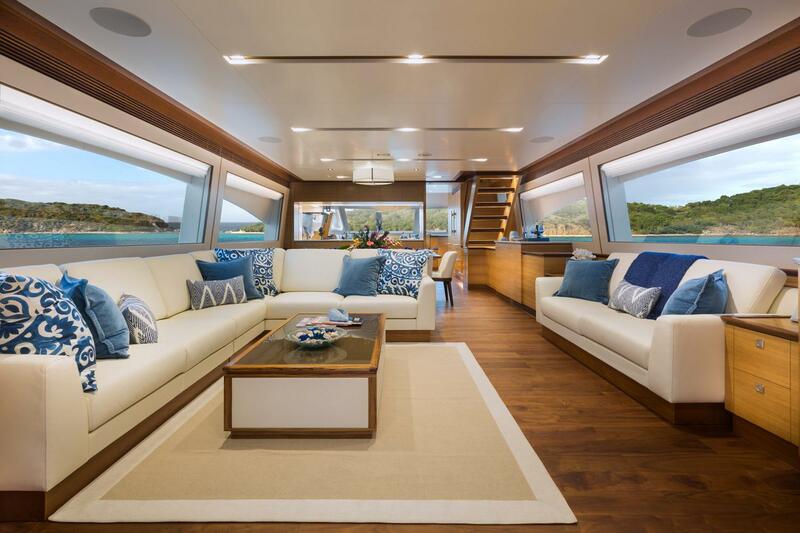 The E88's design theme – luxury island living – is represented with beautiful light Oak in a semi-gloss finish and rich teak wood accents. 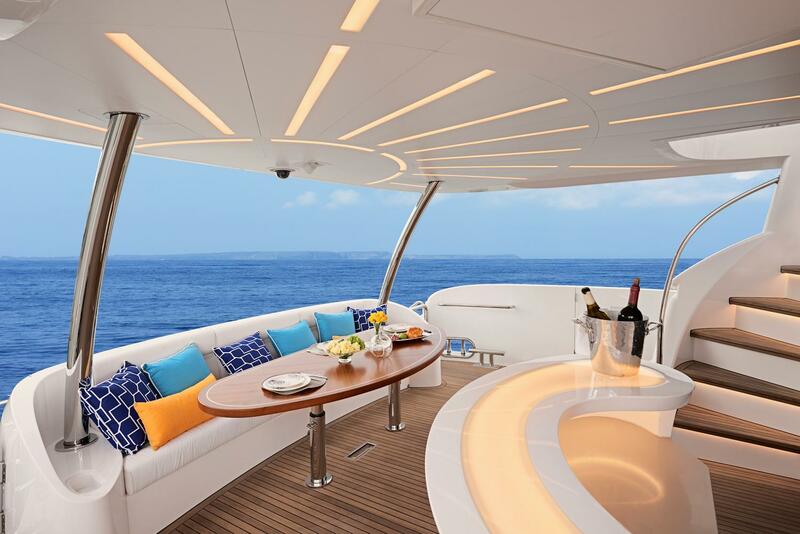 Her enclosed skylounge, beach club design, and island-friendly 5’6” draft ensures you can cruise this E88 from the North to the South and beyond. 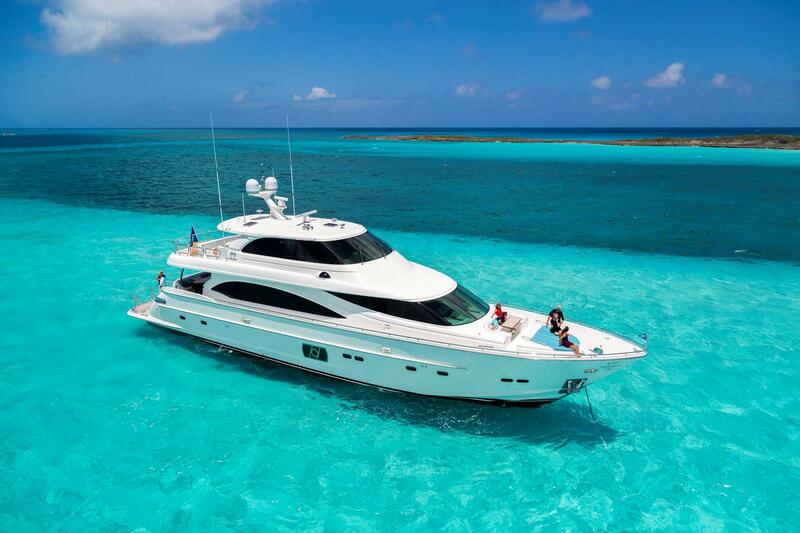 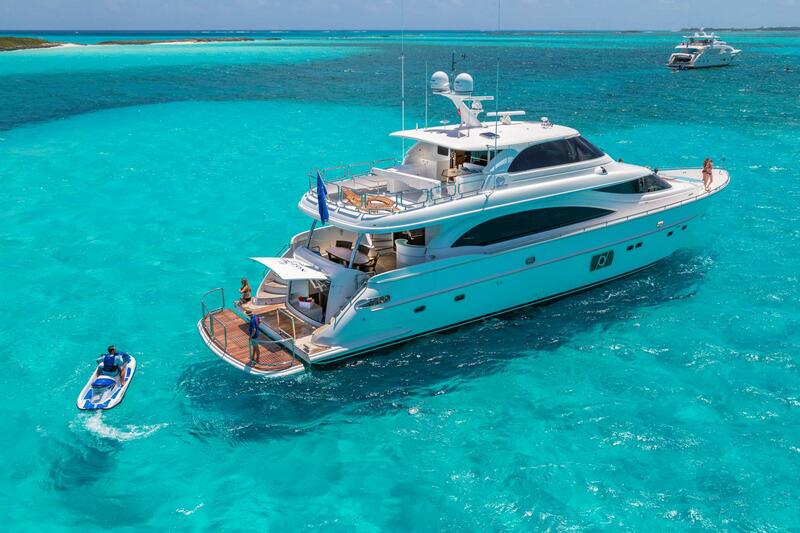 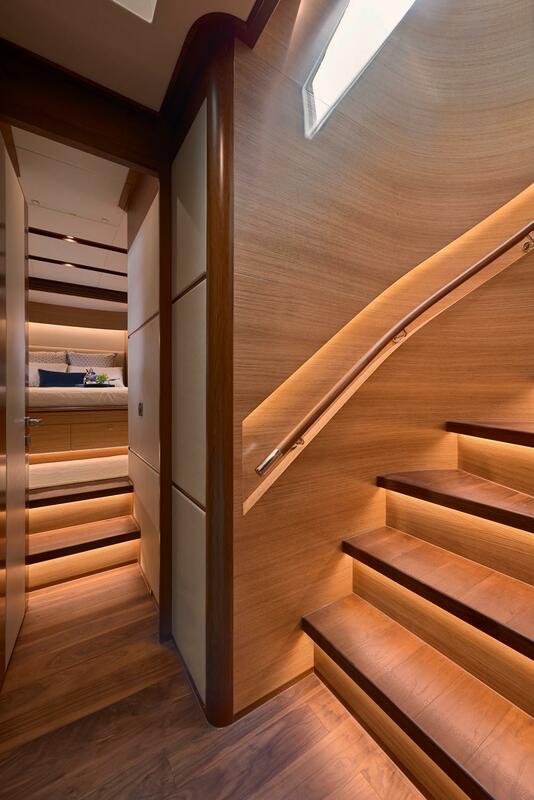 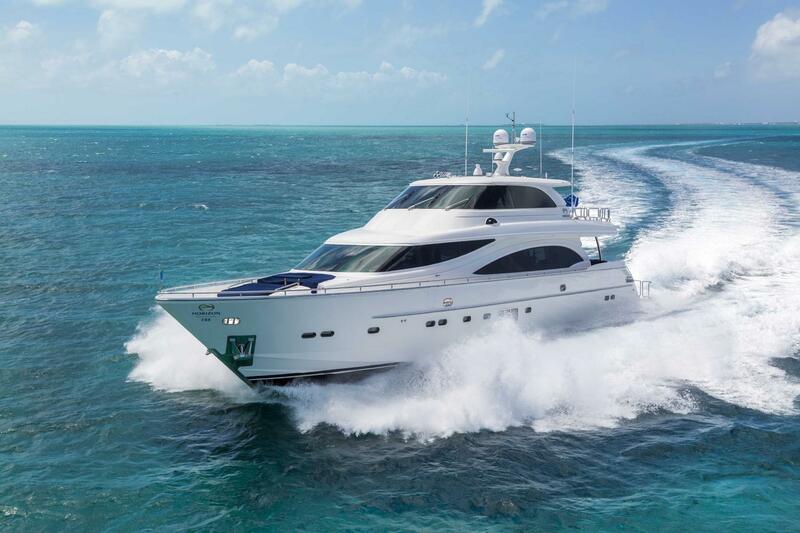 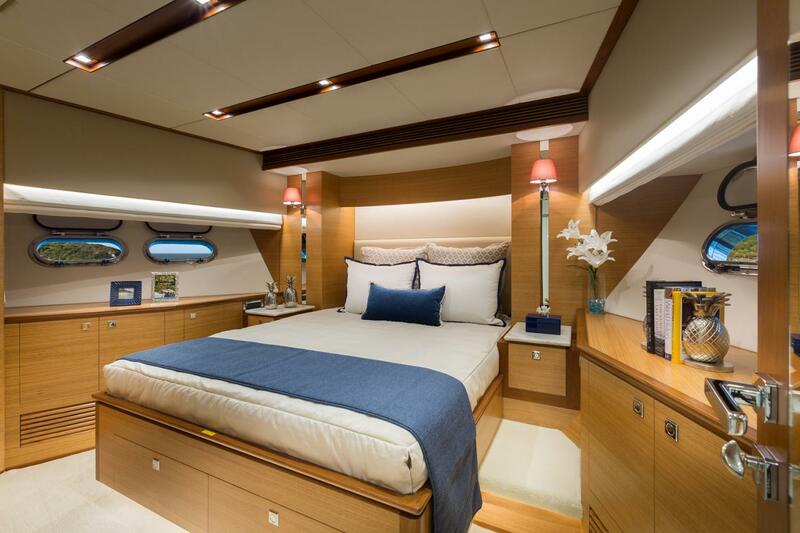 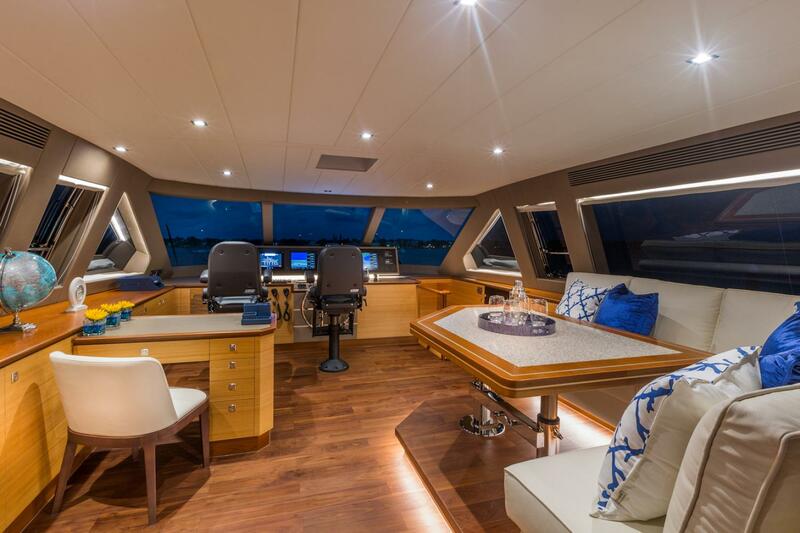 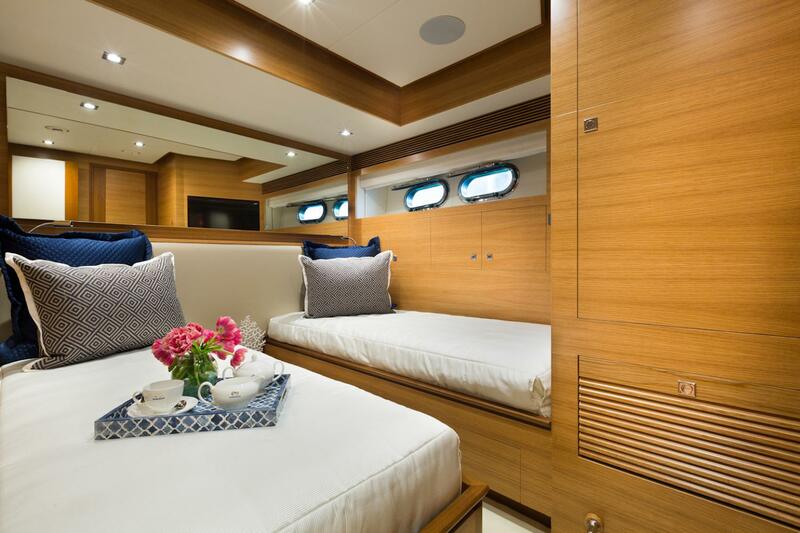 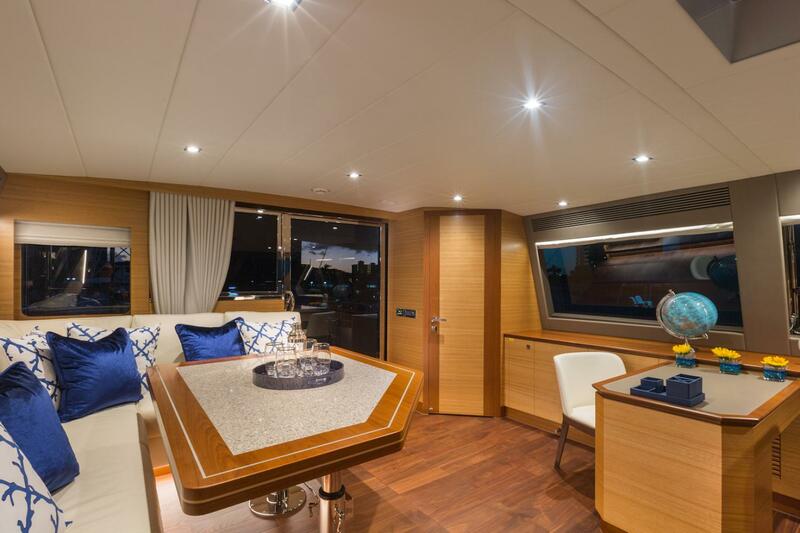 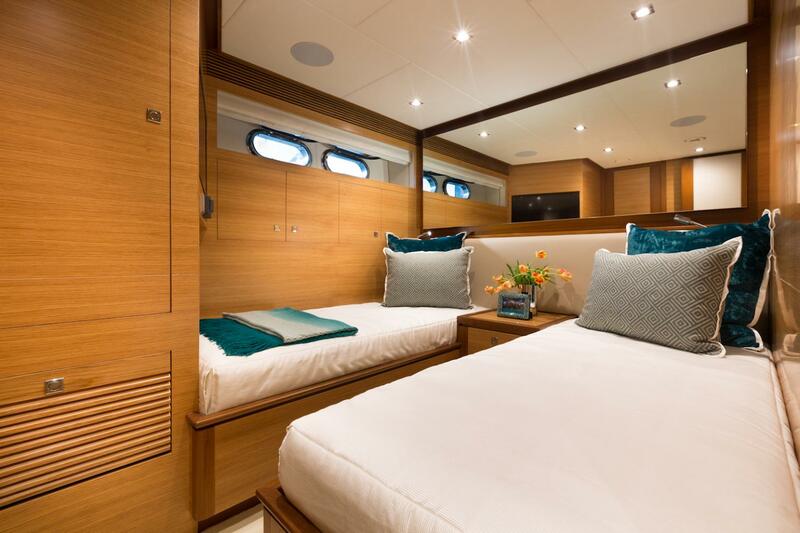 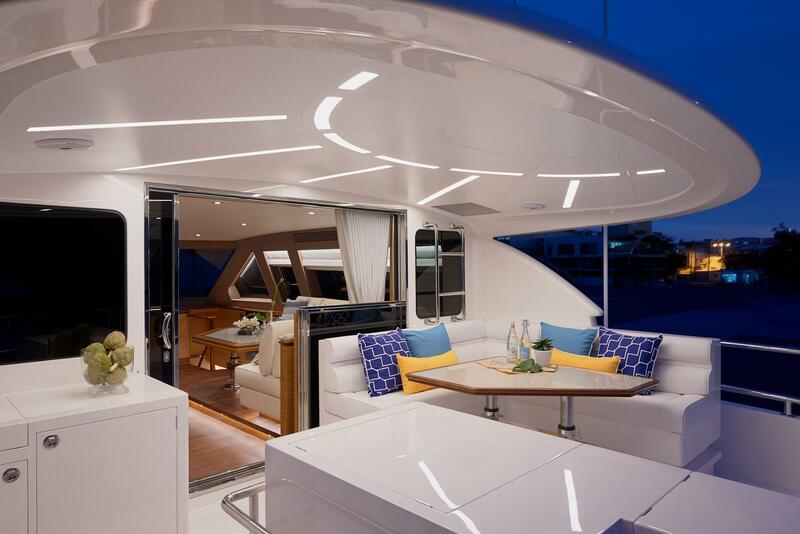 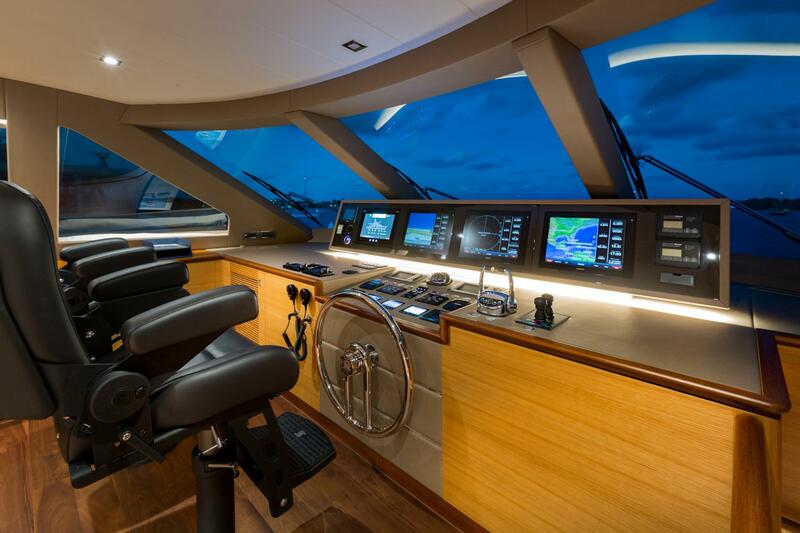 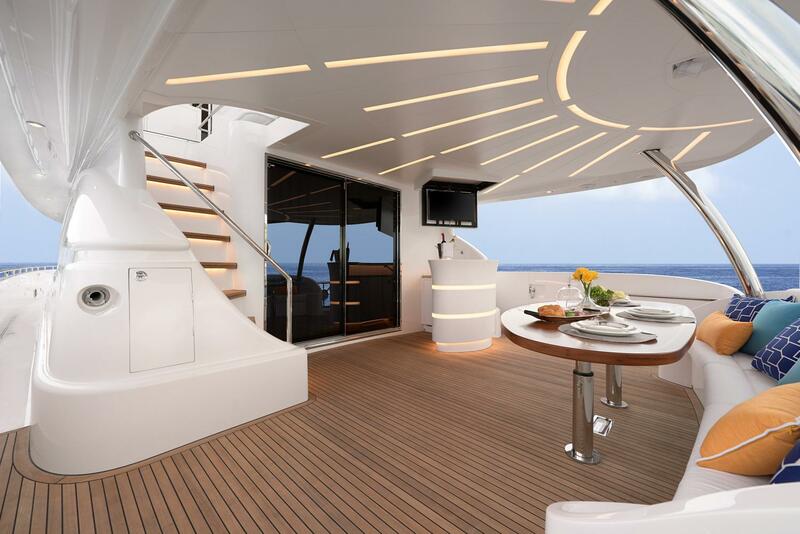 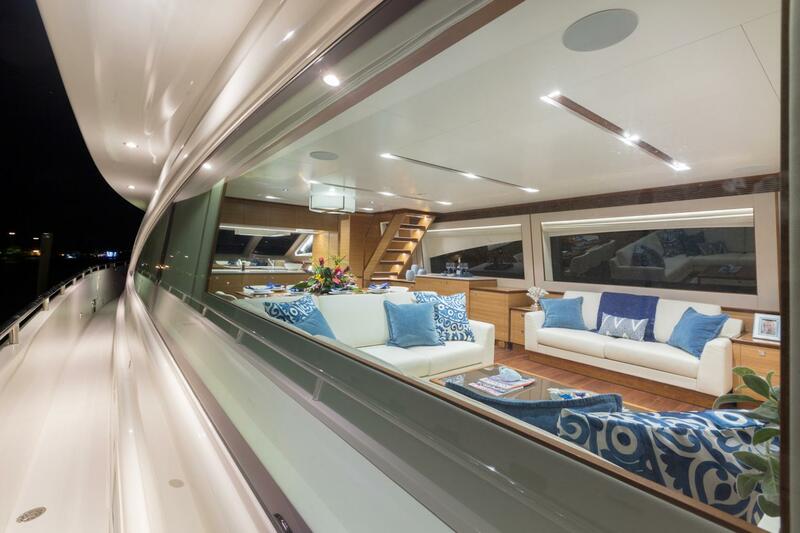 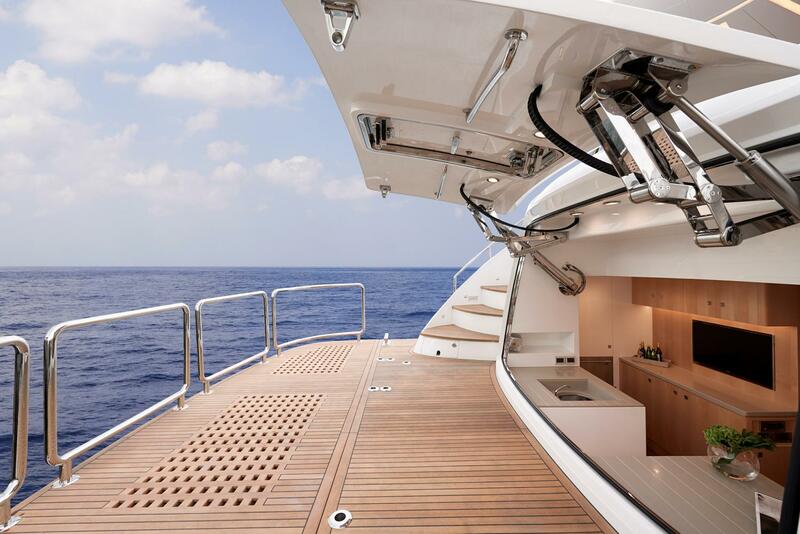 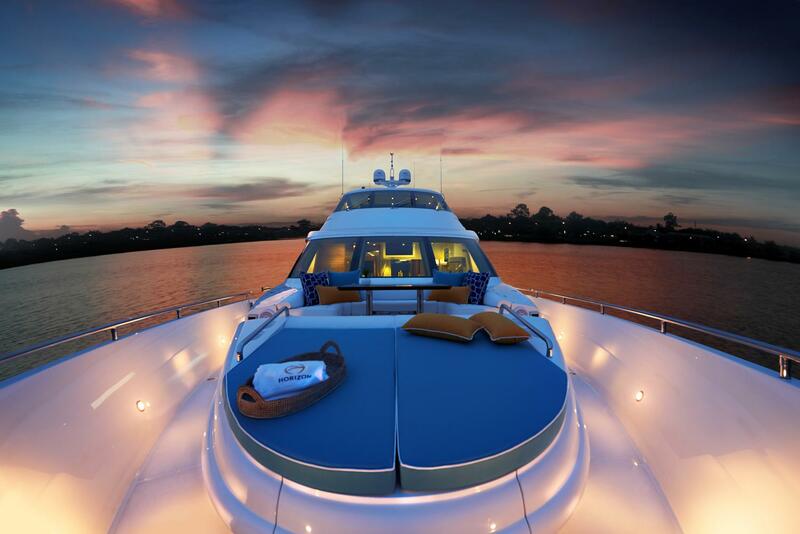 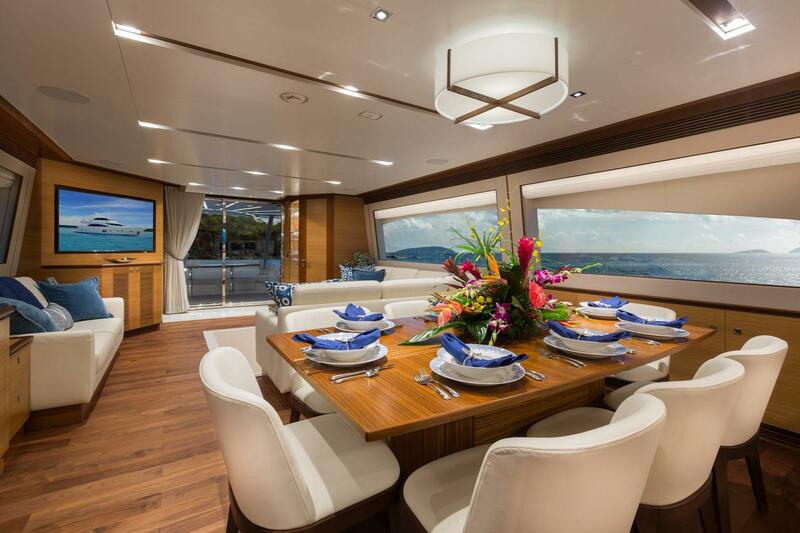 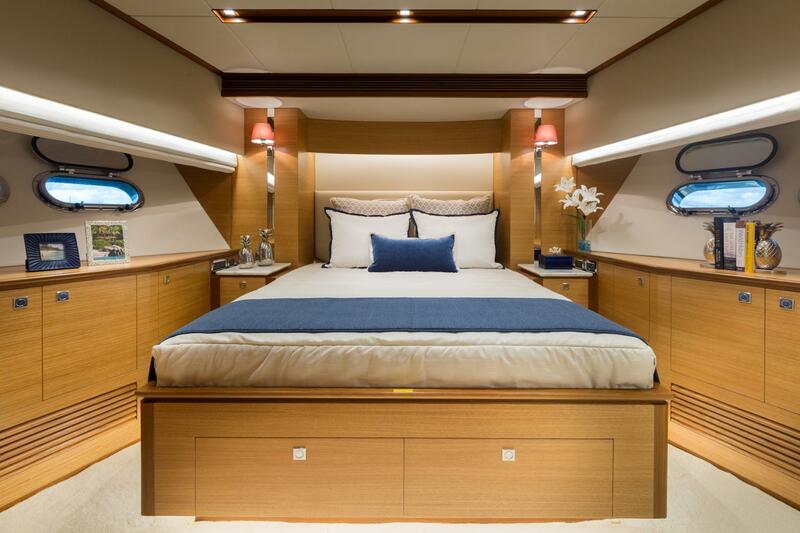 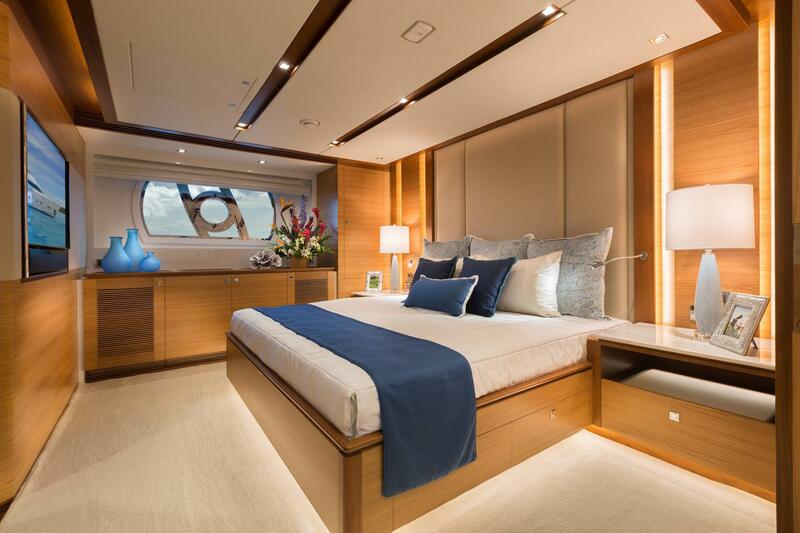 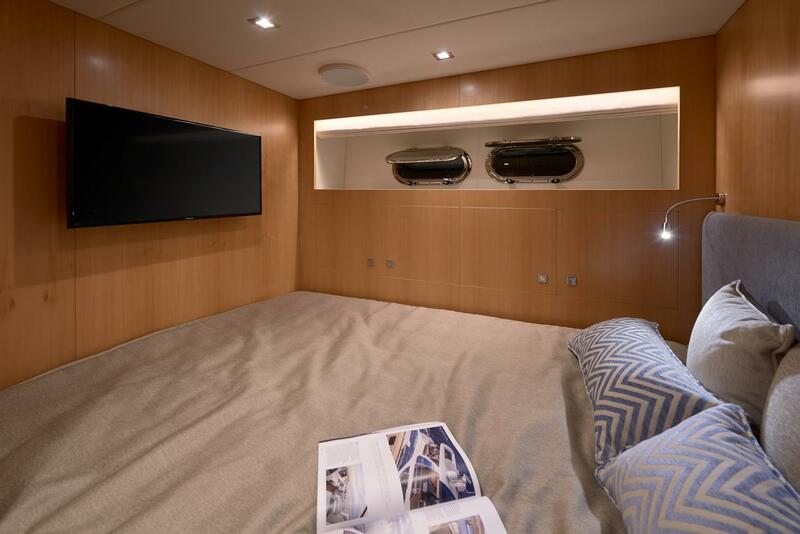 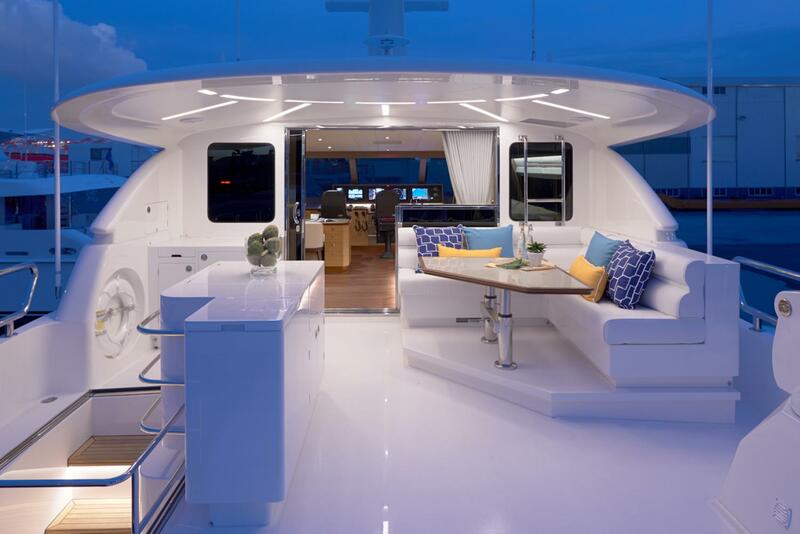 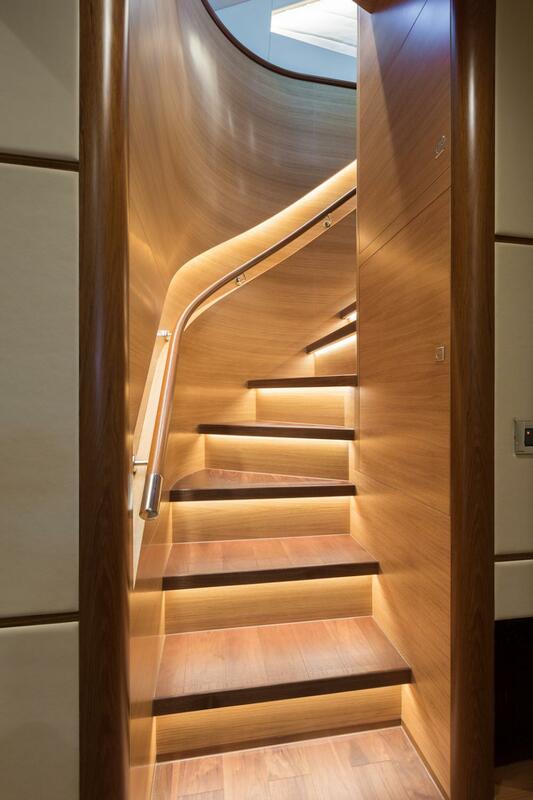 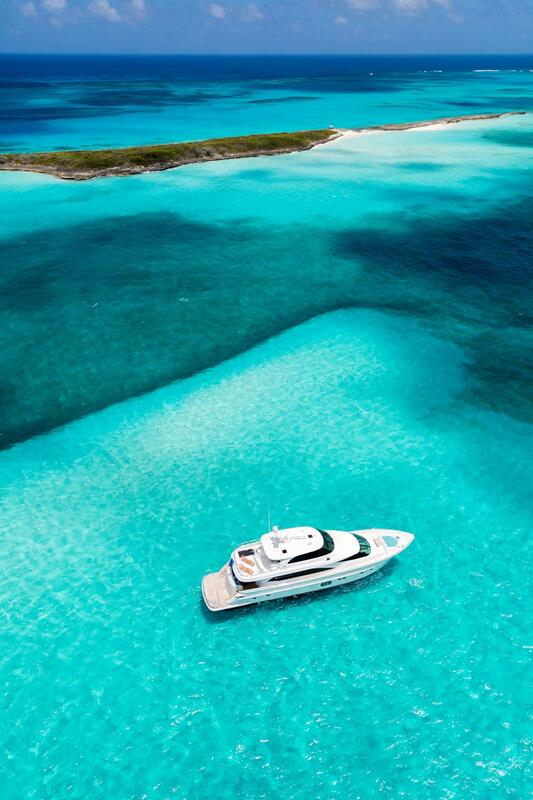 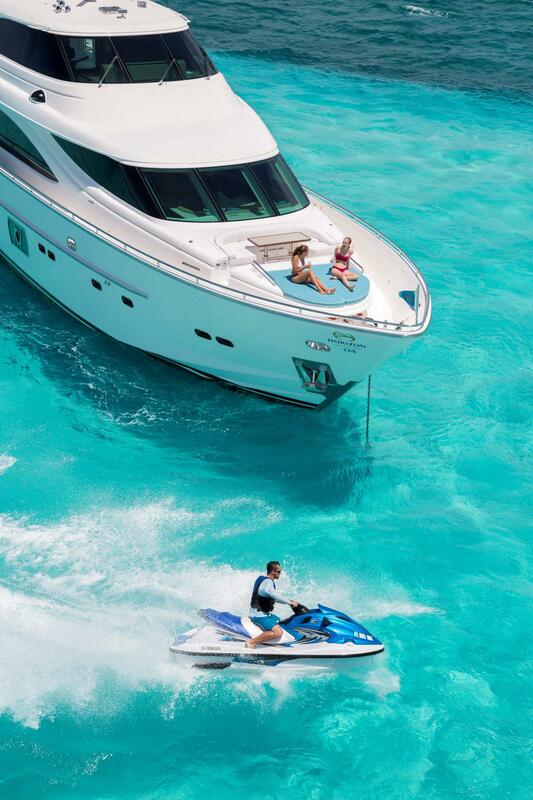 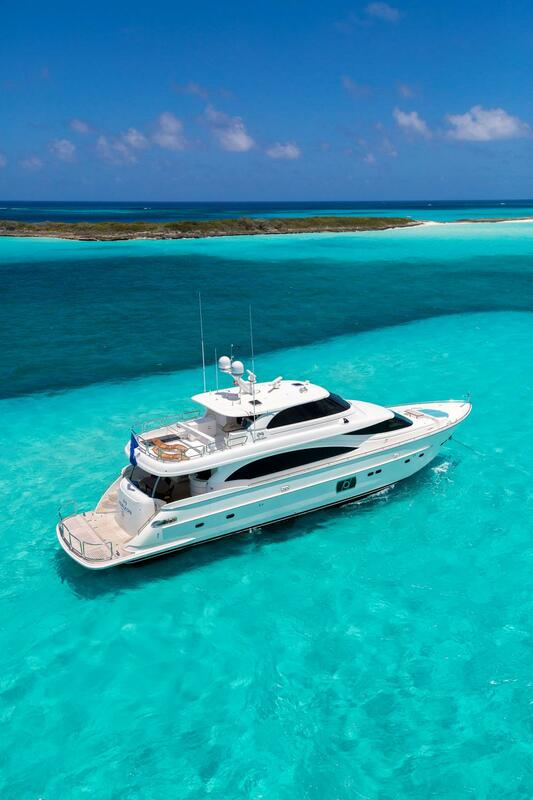 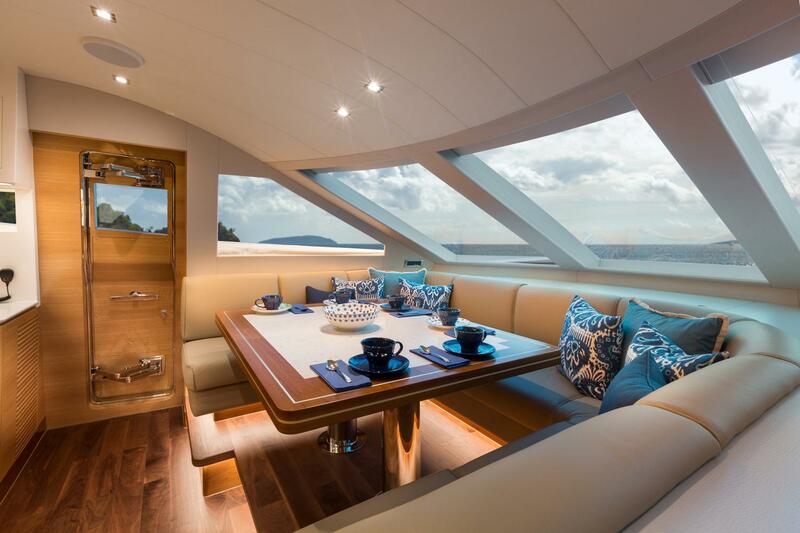 Click here to take a beautiful video tour of this Horizon E88 luxury yacht! 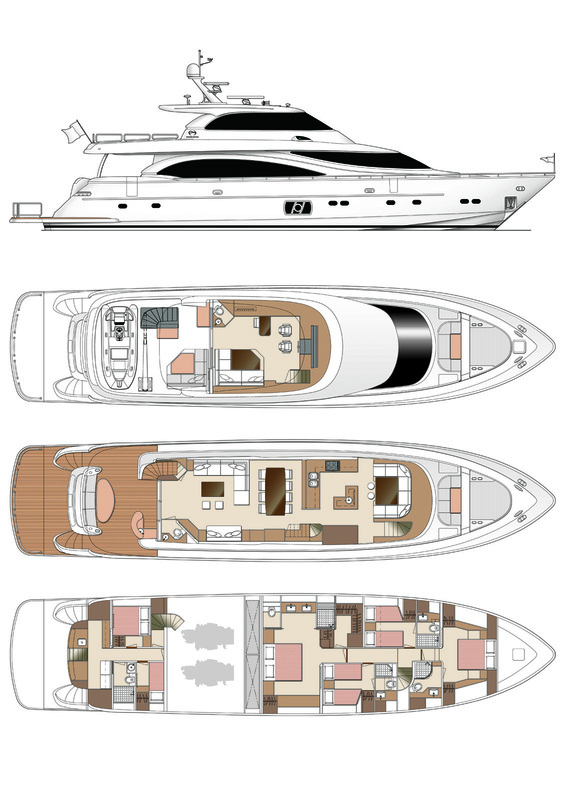 To get a copy of the Horizon E88 Brochure sent to your email, please enter your information below.